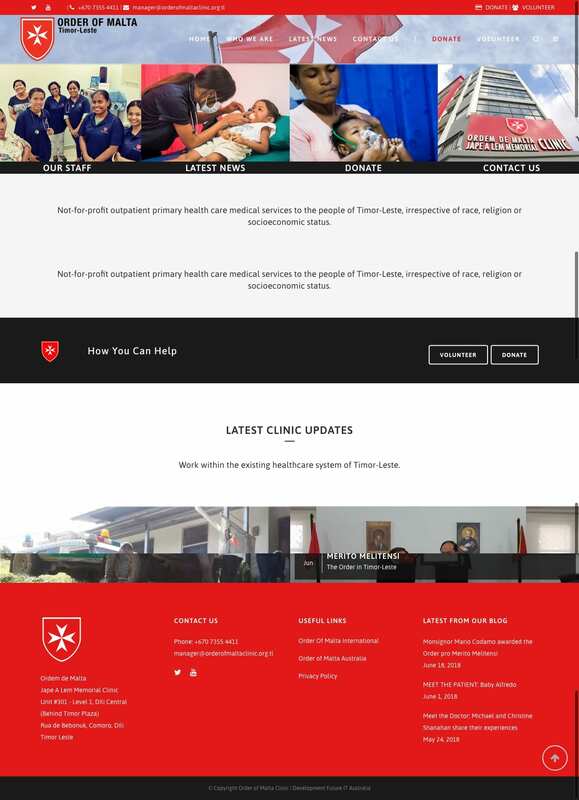 Website built for a charitable project of the Order of Malta organisation. A medical clinic based in Timor Leste. This is a not-for-profit outpatient primary health care medical services to the people of Timor-Leste, irrespective of race, religion or socioeconomic status. The scope included a means for people to Donate and Volunteer to assist the clinics operations.